Come and enjoy a simple meal to help provide special services for our neighbors in the Madison & Triana area. Your $15 gets you a a locally handcrafted soup bowl and a simple but wonderful meal consisting of your choice of soups/chili plus bread, dessert & a drink. The bowl goes home with you as an unspoken reminder that Madison helps prevent empty bowls and hearts. 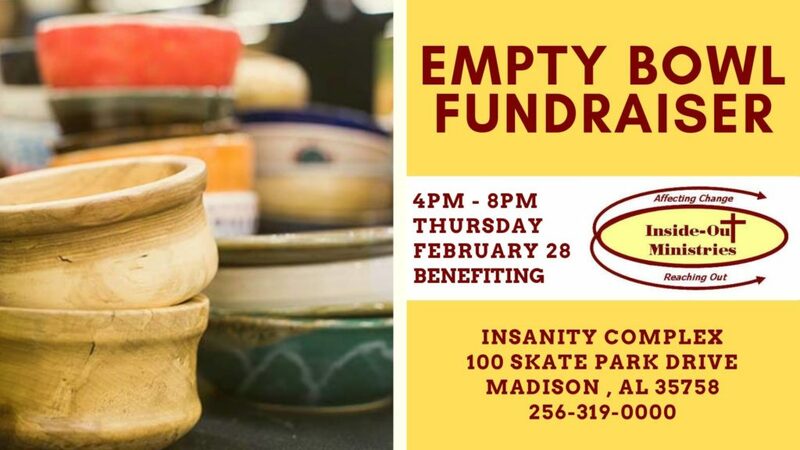 This event benefits the poverty alleviation and community service programs at Inside-Out Ministries, an all-volunteer 501(c)(3) charity in Madison, AL.